India successfully conducted the maiden air-to-air test of its Astra all aspect, beyond visual range (BVR) air-to-air missile on Sunday, May 4, 2014. The missile was launched from an IAF Su-30MKI at a Naval range in the western sector. The test met all mission objectives. The release of the missile was captured by side and forward looking high speed cameras; the separation occurred exactly as per the simulation. The missile was launched against a simulated target during the test on Sunday. According to DRDO chief, Avinash Chander, the missile would be launched against a real target shortly. "Many more trials are planned and will be conducted to clear the launch envelope. Weapon integration with ‘Tejas’ Light Combat Aircraft will also be done in the near future," Chander said. 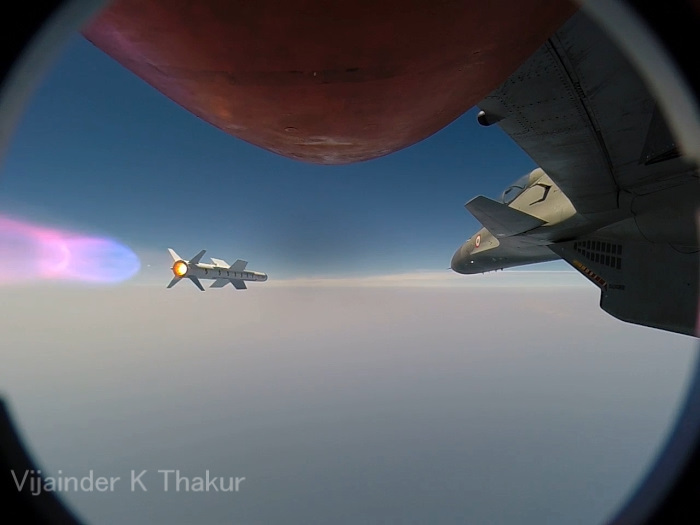 HAL carried out Astra related modification on the testbed Su-30MKI along with IAF specialists. 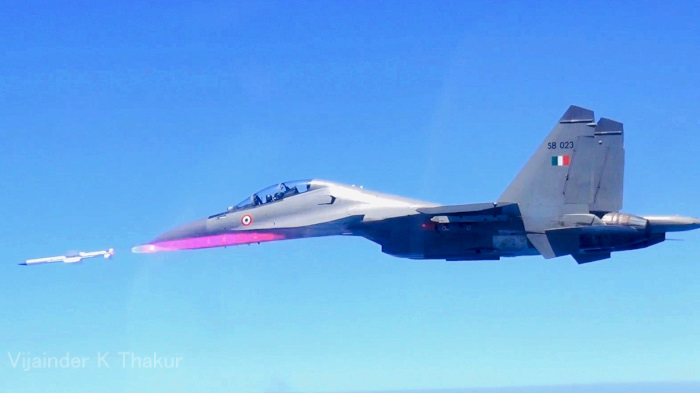 In 2013, the Astra missile underwent rigorous testing on Su-30MKI in the captive mode to validate avionics integration and evaluate the missile's seeker.